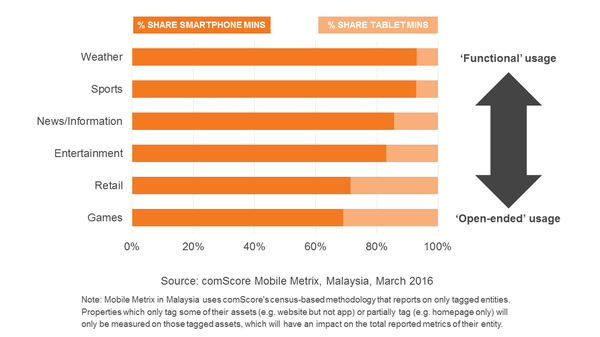 Malaysia: What Does Mobile and Multi-Platform Audience Evolution Mean for Content and Advertising? Multi-platform data allows us to understand the overlap and exclusive audiences between different platform. 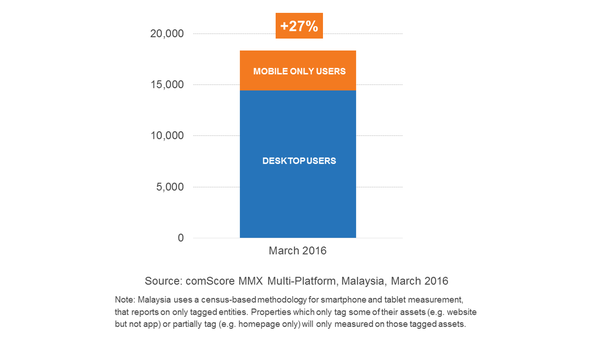 Taking the base of people who use desktop devices in a month, we can see that mobile-only users add an additional 27% to the total digital population in Malaysia. 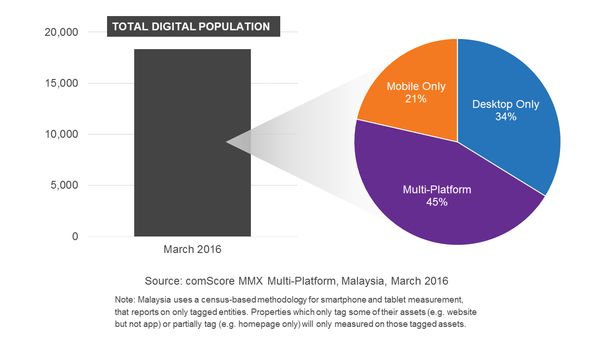 When we look at the total digital population in Malaysia as a whole, we can see that the greatest share belongs to users accessing digital content on more than one device – the multi-platform majority. A third of the total digital population still uses desktop exclusively, and one in five people in Malaysia uses only smartphone or tablet devices in a month to access the Internet. Naturally, demographic groups behave differently, with younger groups showing an increased propensity for mobile-only usage. The 25–44 age group exhibits the largest share of multi-platform usage, whereas desktop-only usage grows as you move upwards through the age brackets. From this, we can clearly see that mobile and multi-platform usage will continue to grow as the pre-eminent ways in which people engage with digital content. One interesting nuance is that platform choice is also dictated by the content being consumed, with smartphones taking priority for more functional or location-based tasks such as checking the weather or sports coverage. Tablet usage tends to be more prevalent for more leisurely, open-ended activities such as games or shopping. For more information about Mobile Metrix, please visit: www.comscore.com/MobileMetrix. 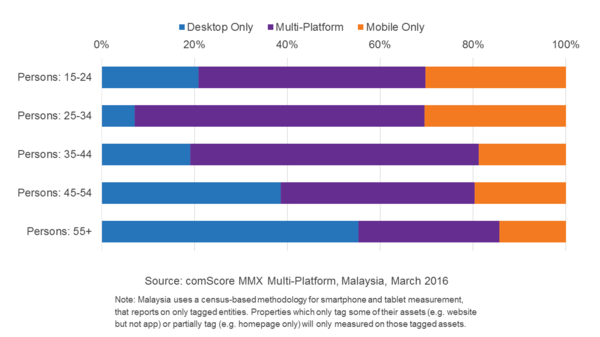 For more information about MMX Multi-Platform, please visit: www.comscore.com/Multiplatform.